The 13.1-mile half-marathon is an endurance challenge that requires dedication to a well-designed 12-week training schedule. It will take three months of steadily increasing your long run each week to get you ready. You will need to set aside four to five days per week for your training. If it's your first half marathon, it is better to start with a beginner runner half marathon schedule. But if you've already run at least one half-marathon road race, or you've done a 5K or a 10K and can run 4 miles comfortably, this 12-week advanced beginner training schedule is appropriate. This schedule is built so harder days are followed by an easier day or a rest day. You can switch days to accommodate your schedule. So, if you prefer to workout on a Monday or Friday, it's fine to swap a rest day for a run day. Mondays and Fridays: Mondays and Fridays are usually rest days. Don't ignore rest days—they're important to your recovery and injury prevention efforts. Your muscles build and repair themselves during your rest days. You're not going to gain much strength and you're increasing your risk of injury if you don't take some rest days. Tuesdays and Saturdays: After you warm up, run at a comfortable pace for the designated mileage. Wednesdays: Do a cross-training (CT) activity (such as biking or swimming) at an easy to moderate effort for 45 to 50 minutes. Strength training is also recommended as part of a balanced exercise program, and you may include that on your CT day. Thursdays: In the fourth week, you'll start to do race pace runs. 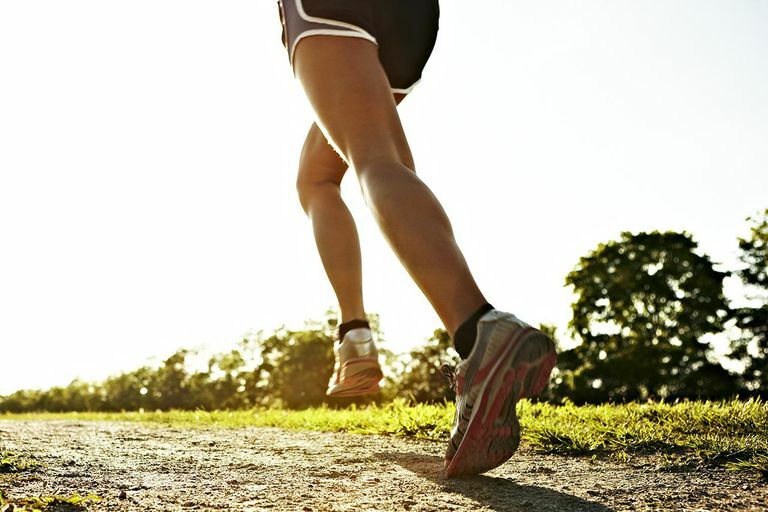 After a 1-mile warmup (WU), run for the indicated distance at your half-marathon race pace. Then run a 1-mile cool-down (CD) at your easy, conversational pace. If you're not sure what your half marathon pace is, run at a speed that you think you could hold for 13.1 miles. Saturday: This is your long run mileage-building day. Warm up at an easy pace, then run the designated miles at an easy, conversational pace. It is good to practice wearing your race gear, getting appropriate hydration, and replenishing with energy snacks as you will during the race. As you reach longer miles, it will become important to use blister-prevention strategies such as lubricating your feet or using cornstarch to keep them dry. The final two weeks of the schedule include tapering so you have time to fully recover before your race. At a half-marathon distance, you will need to plan for proper refueling and hydration for your long run. The guidelines say to drink when thirsty and to switch to sports drink after the first hour of running. This will be provided on the race course, but you must do it yourself in training. You may need to plan a route that includes access to water and sports drink or carry it with you on a hydration belt or with a hydration pack. If your half-marathon race includes hills, be sure that you include them in your training routes. You can use a treadmill when training, but it's best to only use it for only one to two of your shorter weekly workouts. Aim to do your long day (Saturday) out on the road so you are used to those conditions. Your next step would be to work on improving your finish time with an intermediate half marathon schedule. Speed is built with interval workouts and tempo runs in addition to your steady-state and long runs each week.